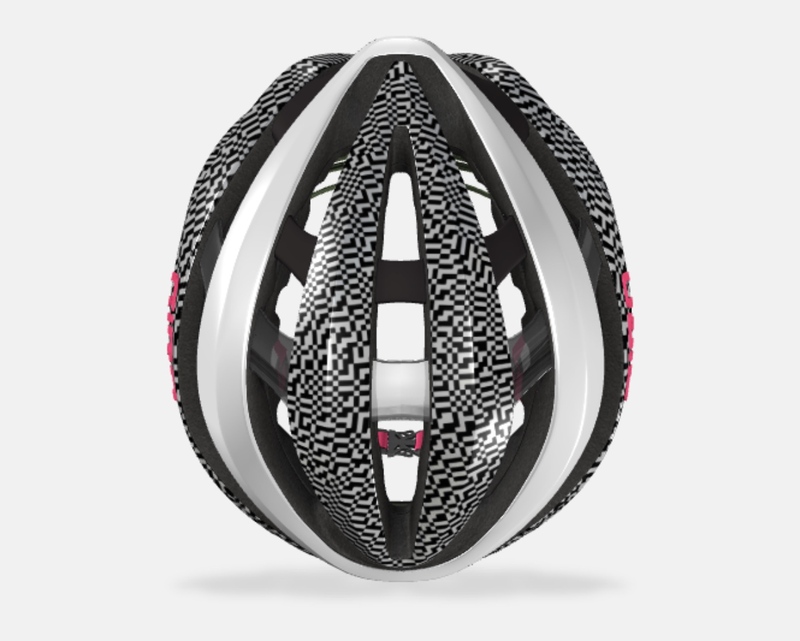 The Giro design configurator lets you create your own unique helmet. Price for these custom road helmets will start at $400. 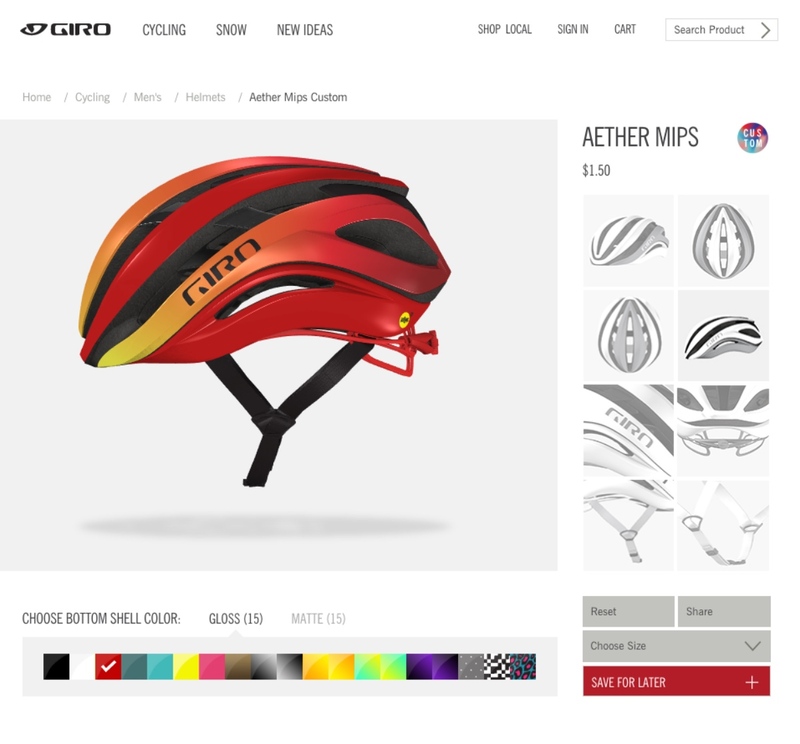 Using a custom design configurator at www.giro.com/custom any rider can design their Giro Custom dream helmet. Riders can also save their design and share it on social media with the hashtag #GiroCustom directly from the configurator. Every Tuesday, starting at 12 a.m. Pacific, the first 25 to submit their designs get to see their dreams become reality, as the Giro factory produces each unique Giro Custom Aether MIPS, shipping direct to the rider within 4-6 weeks. 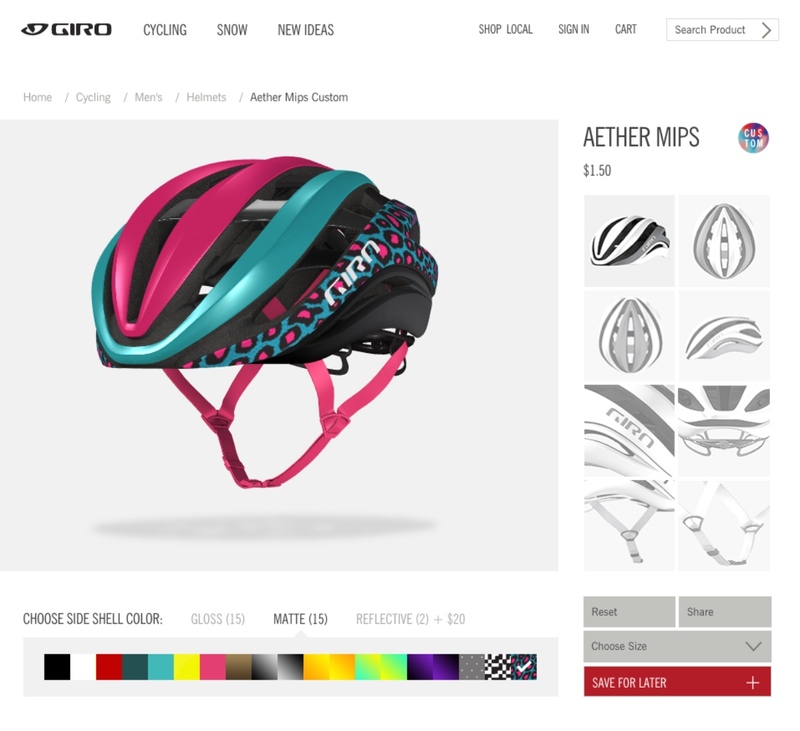 The Aether MIPS combines rotational energy management with an airy, open design to advance head protection for cyclists. Inside the Aether, a two-part dual-density Nanobead EPS foam liner helps to manage a wide range of impact energies, by rotating independently of a rider’s head and the helmet outer shell. There are too many possible design combinations to count. This proprietary MIPS Spherical technology removes obstructions to comfort, while also boasting deep internal channeling to provide cooling airflow. Outside, a six-piece shell forms a silhouette around the massive vents, which get added structural reinforcement via a shatter-proof AURA reinforcement. The final touch is a new Roc Loc 5+ Air fit system, featuring 3-way fit tuning, that allows independent and easy adjustment.